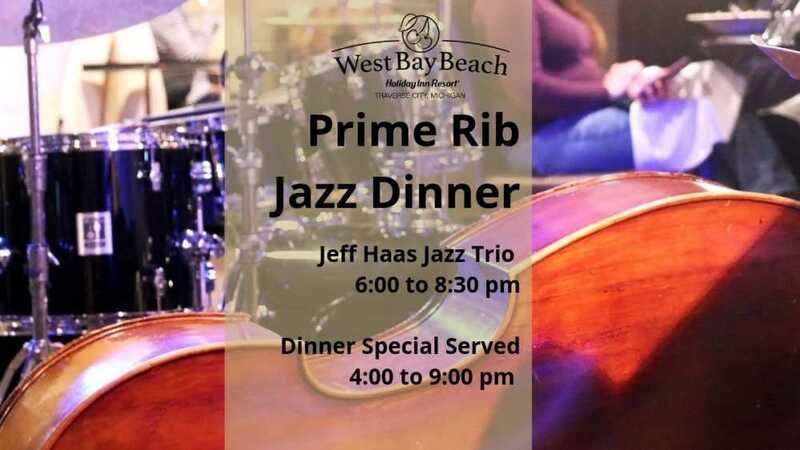 Jazz up your Thursdays at West Bay Beach Resort with our Prime Rib Jazz Dinner featuring the Jeff Haas Jazz Trio performing from 6:00 to 8:30 pm. Dinner special available every Thursday through April. Dinner served from 4:00 to 9:00 pm. $29.95 per person or $50 per couple. Please call 231 947 3700 x 122 for your dinner reservation.